This article aims to help the developer in using Toradex GPIO library in VC++. 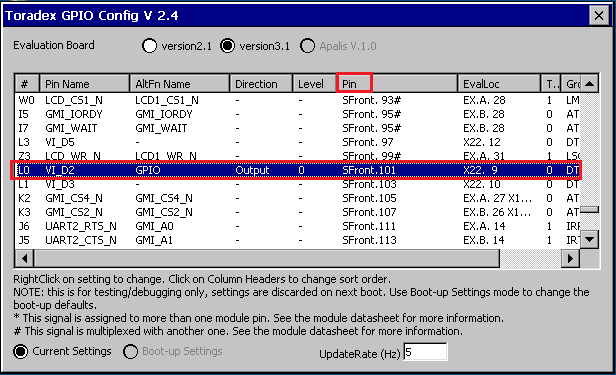 GPIO library is used to access general purpose input/output (GPIO) available on Toradex Computer Modules. We provide free GPIOLib including sample demo source code. 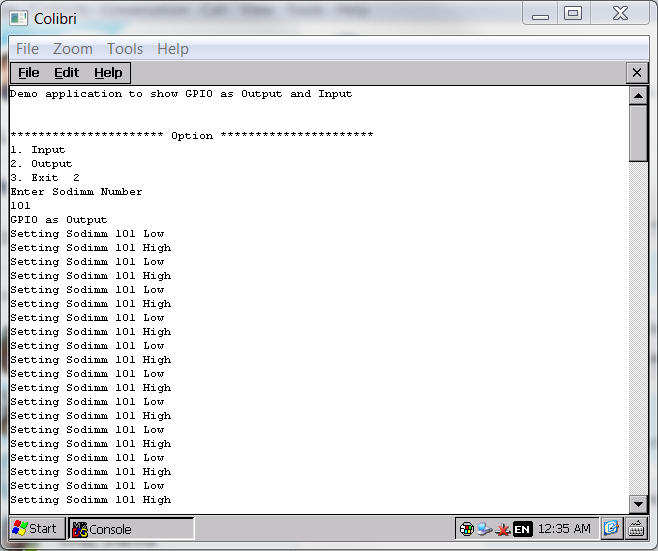 This application demonstrates the use of GPIO pin (SODIMM pin 101) as output to produce a 0.5Hz pulse. To include GPIO library into project refer this article. The following figure shows the output waveform. 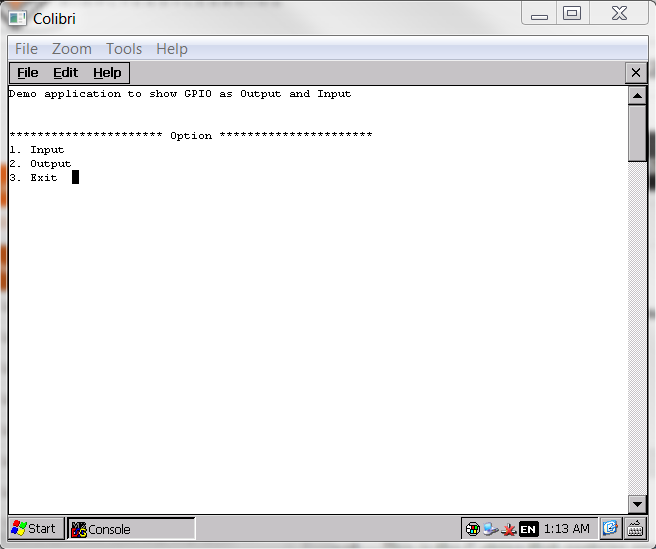 Alternatively, you can use the GPIOConfig Tool. 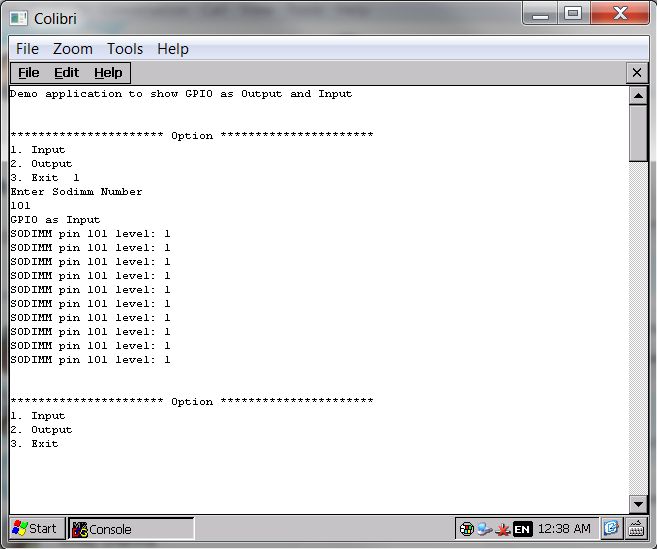 On the Toradex GPIO Config window, click on Pin to sort the list by pin number. Scroll down to SFront.101. The Level will change between 0 and 1 at the interval of 1 second. When Level changes from 0 to 1, it print message on console.